Could Cisco snap up Splunk or Nutanix? 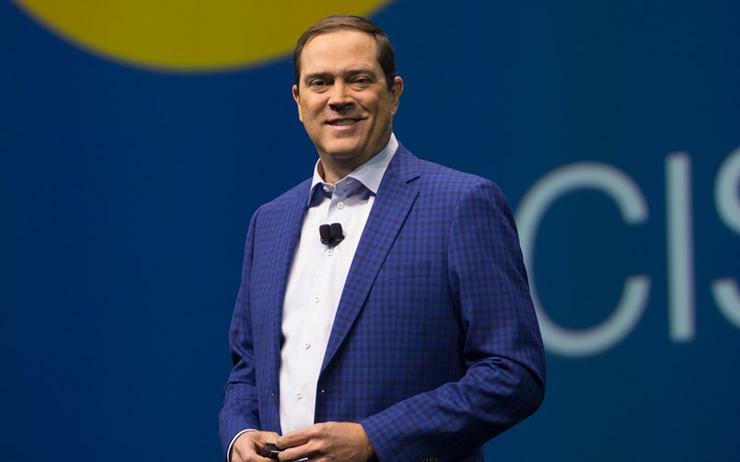 Cisco could explore the option of acquiring either Splunk or Nutanix during 2019, as part of widespread transformation plans at the technology giant. That’s the view of Matthew Hedberg, analyst at RBC Capital, who has backed the vendor to continue its acquisition spree in the year ahead, around key focus areas of software, cloud, networking and security. In particular, Hedberg cited Splunk as a logical acquisition target, given the company’s deep expertise within the field of data analytics, seen as complementary to the acquisition of AppDynamics in 2017. Finalised in March 2017, the US$3.7 billion deal focused on tapping into AppDynamics's cloud application and business monitoring platform in a bid to boost visibility for customers across the Cisco technology stack. As a result, Hedberg said that the addition of Splunk would add further credibility to Cisco’s evolving data narrative in the market. “Given the importance of data and data analytics, (merging Splunk and AppDynamics) would create a premier data management platform," said Hedberg, outlined in a report to clients this week. On the flip side, Hedberg also revisited previous speculation regarding the future of Nutanix, insisting that a potential acquisition would boost Cisco's standing within a growing hyper-converged industry. Such media chatter regarding Nutanix is nothing new however, having first surfaced days after Hewlett Packard Enterprise unveiled plans to acquire SimpliVity in a deal worth US$650 million in early 2017. “Cisco is left with limited options to address its portfolio gaps and could turn to Nutanix for a solution (partnership or M&A),” wrote Ittai Kidron, analyst at Oppenheimer analyst, at the time. With Cisco naturally quiet on all mergers and acquisition activity, time will tell as to whether the networking giant will pursue either Splunk or Nutanix in an official capacity. What is certain however is the acquisition of Luxtera, a semiconductor vendor based in California for the sum of US$660 million in cash. Announced by Cisco in December 2018, Luxtera uses silicon photonics to build integrated optics capabilities for webscale and enterprise data centres and service provider market segments. As a result, the vendor plans to incorporate Luxtera's technology across its intent-based networking portfolio, spanning enterprise, data centre and service provider markets.